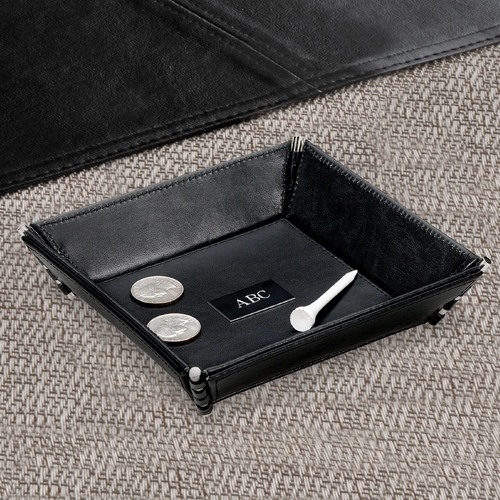 * Our personalized leather stash tray is a cleaver gift idea. * Use at the office, at home or on the road. 6.25" x 6.25" x 1.25"